Introducing our next generation in complete soft top kits from Bestop. This is perhaps the most advanced and complete soft top kit for a Wrangler that has ever been developed. 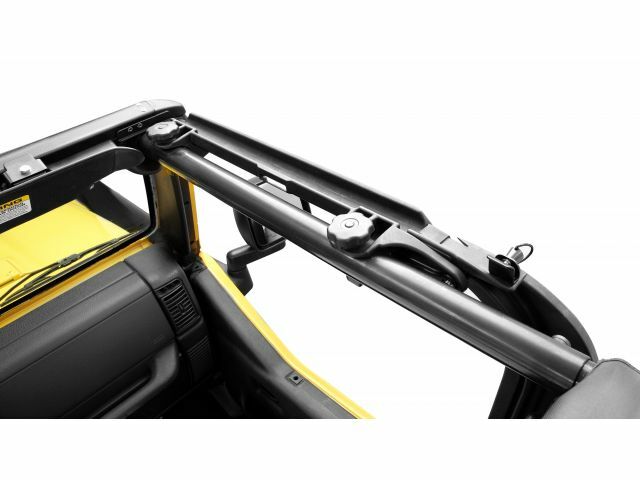 Bestop has remained the industry leader in Jeep Wrangler soft tops for over 20 years and has now created the Supertop® NX using their valuable experience, advanced materials and engineering with Factory Original patterns and bow assemblies that are even more user friendly. 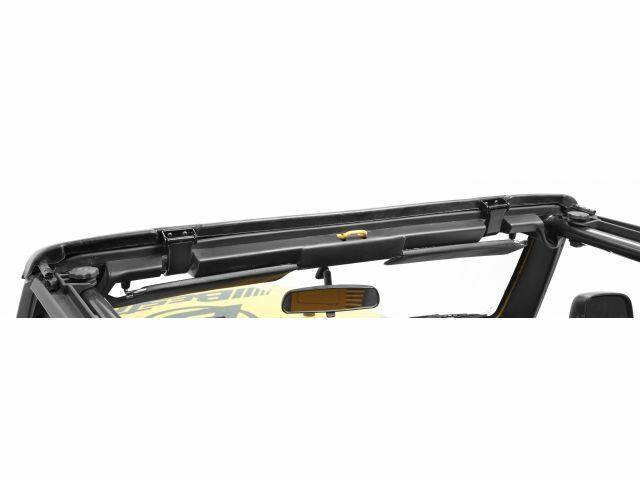 Whether you’re converting your hardtop Wrangler to a soft top, or replacing your existing soft top, the NX is the finest 100% complete soft top solution. 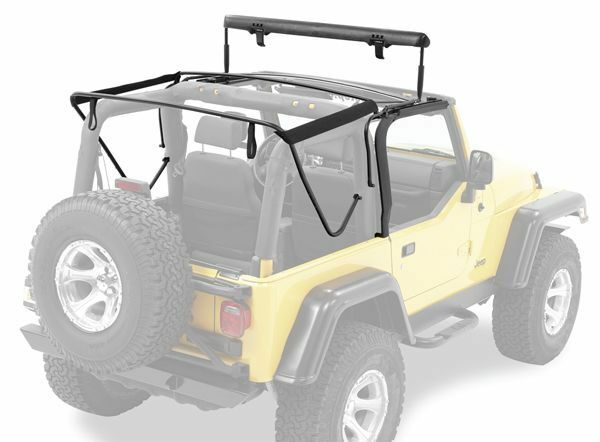 Kits include all soft top panels with zip out tinted windows, original factory style bow assembly, installation hardware and detailed installation instructions. 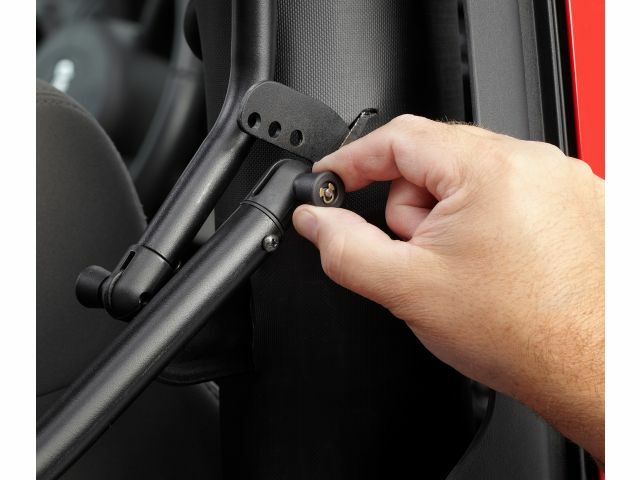 Supertop NX kits also features original factory style door surrounds and a tailgate retainer bar. 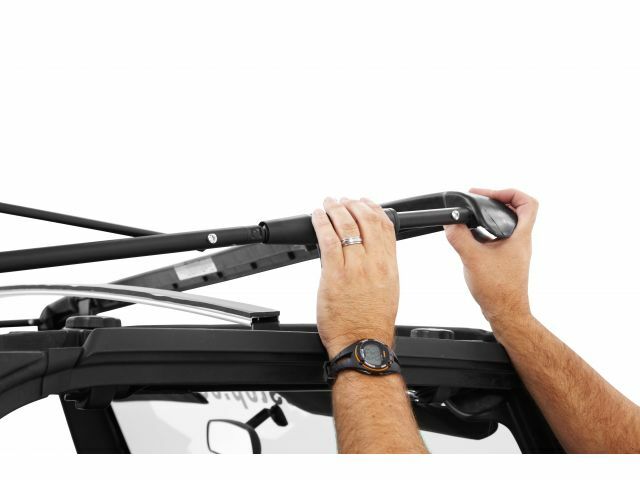 The unique flip back sunroof front section provides instant open air driving while the entire top can easily fold down onto the vehicle for the full open air experience. 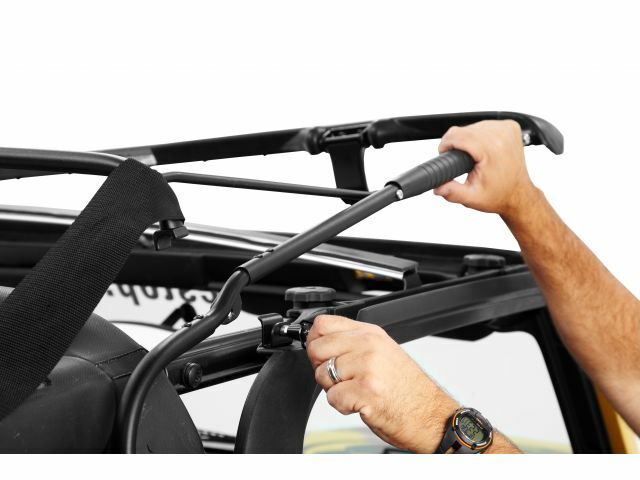 The custom quick release soft top bow knuckles allow complete top removal without the use of tools. 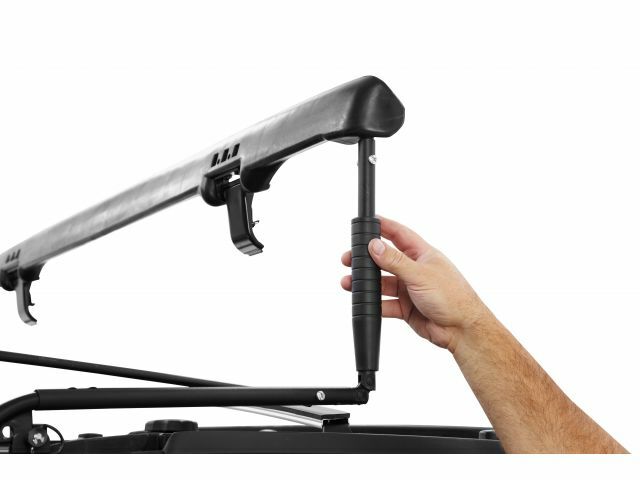 The adjustable soft top Bow Mount Tensioning Plate and Top Arch Bar allow for adjustable tension ensuring a tight fit. The Supetop® NX Soft Top kits can be used with a combination of Bestop soft doors or the factory steel doors.